HOW, DEBORAH (Cottnam), schoolmistress; b. c. 1725 in Canso, N.S., daughter of Edward How* and his first wife; m. c. 1742 Ensign (later Captain) Samuel Cottnam of the 40th Foot, and they had at least two children; d. 31 Dec. 1806 in Windsor, N.S. Deborah How was raised in Canso, where her father was the leading merchant and civilian official. The family’s strong New England ties and her father’s fluency in languages assured her a sound education, likely at home. She was married at an early age, and her first child, Martha Grace, was 11 days old when Canso fell to the French in May 1744 [see Patrick Heron*]. The community’s buildings were burnt and the garrison families were removed as prisoners to Louisbourg, Île Royale (Cape Breton Island), from where they were sent to Boston in July. Mrs Cottnam’s activities for the next 30 years remain obscure. 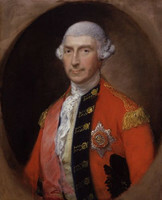 Her husband was at the fall of Louisbourg in 1758 [see Jeffery Amherst*] and continued there until, in declining health, he resigned his commission in 1760. By 1764 he was a merchant in Salem, Mass., where he had been living in 1762 and where he remained until 1773, when he brought his family to Nova Scotia. Although he held “avow’d [loyalist] principles & fix’d attachment to Government,” it is likely that financial difficulties precipitated the move. By July 1774 Mrs Cottnam had returned to Salem with her unmarried daughter Grizelda Elizabeth (Grissey) to open a school for young ladies. After the outbreak of war she moved to Halifax, where by 1777 she was again operating a “Female Academy” with her daughter. The boarding- and day-school catered to the colonial establishment and loyalist gentry, numbering among its pupils the daughters of Joseph Frederick Wallet DesBarres* and Mather Byles. Reading, writing, arithmetic, and French were the principal subjects; dancing and sewing were also taught, the latter being Grissey’s speciality. Pupils worked samplers, muslin cuffs, and tuckers, while their minds were treated to such matters as “Locke upon inate ideas.” The duration of schooling varied, but most girls were considered adequately educated at about age 14. The Halifax establishment did not appreciate Mrs Cottnam’s importance to their community until the loyalist families of Saint John, N.B., persuaded her to open a school there in 1786. Having found Halifax “very expensive & not . . . very pleasing,” she and Grissey were not sorry to leave. Although they were happier in Saint John, the financial difficulties continued, with Grissey noting that it was hard indeed for her mother “to be reduced at her year to the dreadful necessity of earning a scanty subsistence . . . in keeping a school, & with difficulty gaining a sufficiency to live with decency.” Matters were alleviated somewhat in 1793 with the death of Edward How’s widow, Marie-Madeleine Winniett; the £100 yearly pension which she had enjoyed was continued to Mrs Cottnam, who had received nothing from her father’s estate. By 1793 she had returned to Halifax, but her final years were spent in Windsor at the home of her daughter Martha Grace, the widow of Winckworth Tonge*. Mass. Hist. 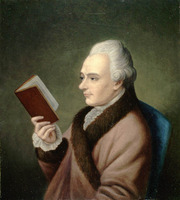 Soc., J. M. Robbins papers, 1774–77. PANS, MG 1, 163; MG 12, miscellaneous, 6, nos. 13–14; RG 20A, 11. Weekly Chronicle (Halifax), 9 Jan 1807. G. A. Rawlyk, Yankees at Louisbourg (Orono, Maine, 1967). Lois K. Kernaghan, “HOW, DEBORAH,” in Dictionary of Canadian Biography, vol. 5, University of Toronto/Université Laval, 2003–, accessed April 24, 2019, http://www.biographi.ca/en/bio/how_deborah_5E.html.